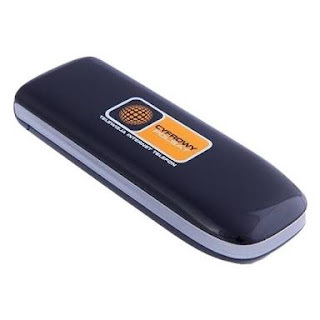 Branded modems and routers are modems and routers that come with a network provider which is in your location. The examples of branded modems are MTN, Airtel modems and Swift, Spectranet routers. Unlocking a modem is simply unchaining it and setting free to roam any and all SIMs without any restrictions.Why is this possible? Modems and routers unlocking is a possibility because they have an original manufacturer like Huawei, ZTE, and others. Network Providers buy modems and routers from these manufacturers like Huawei, ZTE and customize the firmware to accept only their network and anding some final branding. This presence of the main manufacturer’s creation creates room for modem unlocking. Are you prepared to unlock this their modem, making it universal to accept and use any and all SIMs. There are different ways to unlock your modem but because of the authencity according to reviews of dc- unlocker, it will be the one to be discussed today. It is confirmed to be the best in unlocking any modem, but however comes with free and paid types. • Free ~ For old modems and routers which are well known and have been widely spread and easily unlocked. • Paid ~ These services are for the new modems and router devices which were recently manufactured or they just got their unlock method discovered. • For a Paid option, you would need money. •Then make sure that dc-unlocker can unlock your modem before you start the unlocking process. To check if your router is supported and compatible with dc-unlocker check their compatibility list. • Download DC-Unlocker and register for a free Account. • Select your Modem or Router “ Manufacturer” and set “Select Model – Recommended“. • Click on “Server” and insert your Username and Password then Login. For a Free Modem Unlock, you don’t need credit before the modem can get unlocked but a paid one requires credits, which is usually 4 credits. You can buy credit with PayPal, Skrill, Payza, Bitcoin, WebMoney etc.